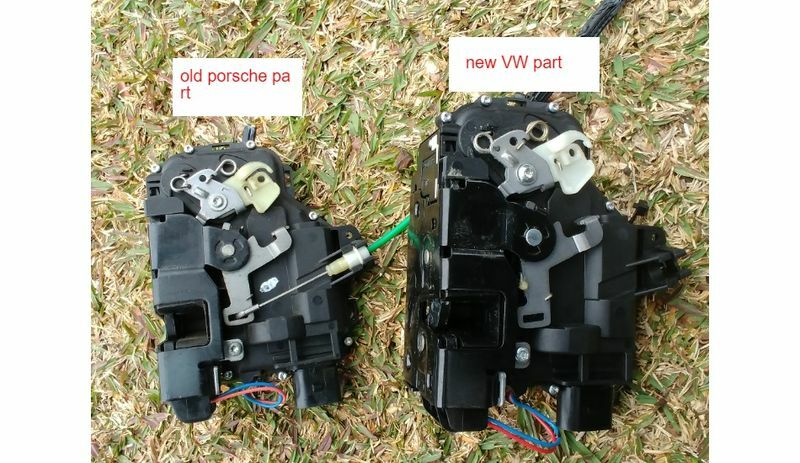 I had a look around on here and a few people have mentioned Audi/VW but couldn't find a specific part number so i bought a genuine right side lock actuator from Porsche and went to work. With a bit of help from my younger brother I was able to get the door panel off and get into the door and started rooting around inside. At this point I hadn't shown him the lock and when i pulled it out he said "that looks like a VW unit"
I saved myself about $100 buying the part from VW. If you want the right side door code i would call up and give them the below code and ask for the other side. 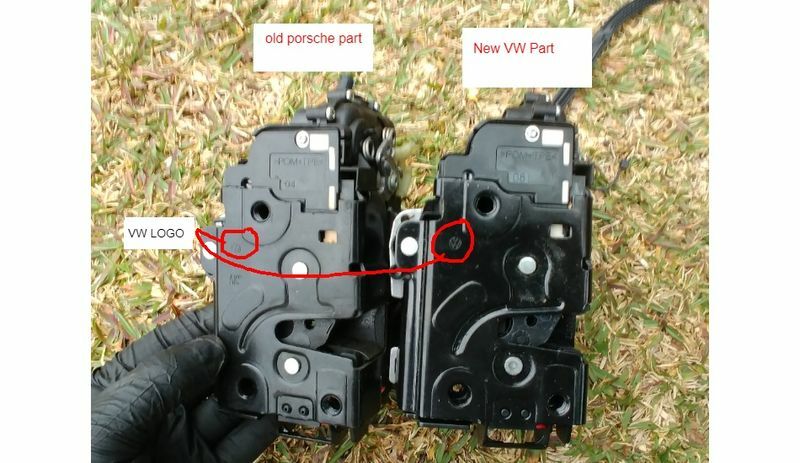 This part will work with RHD or LHD cars and is plug in and play so you don't need to use a computer to complete the repair. Thanks for the tip. 97 and into early 98 used an 8 pin connector so I'm guessing this won't work for the 9 pin connectors found on 98-04. Maybe the Polo evolved into a 9 pin connection too? I don't see why there wouldnt be another part similar. 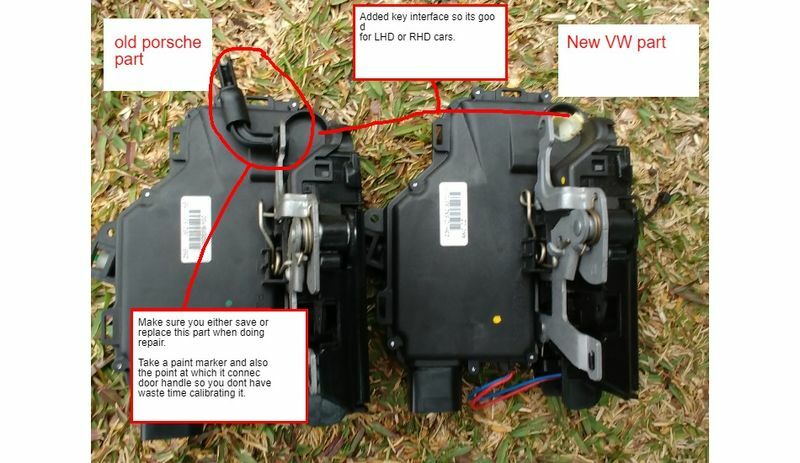 Lock actuators are pretty basic and i can't see why there wouldnt be a similar VW part. 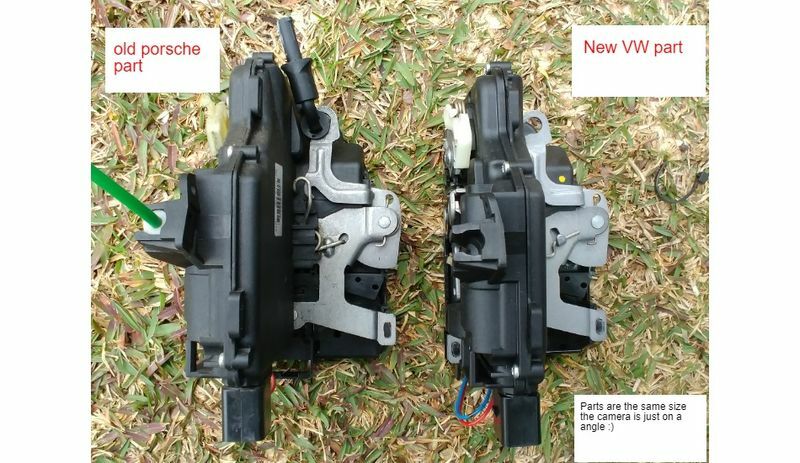 This part was also used on other (more prestigious and expensive) VW's, the polo is just the one I confirmed the year model for.